Kanpur city is one of the important educational center in India which is blessed with number of colleges. Kanpur is situated in Uttar Pradesh and is the part of National Capital region. Colleges in Kanpur provide courses in various streams and havemedical colleges, engineering colleges, architecture colleges, arts colleges, commerce colleges, ayurveda colleges and so on. Colleges in Kanpur offer undergraduate, post graduate, doctoral and diploma programs in various fields. Some Colleges in Kanpur are specialized in providing courses in specific field of study. Apart from regular courses Colleges in Kanpur also provide education through differ modes such as distance learning, campus study, Open University. Additional facilities provided by the colleges in Kanpur are Laboratories, Auditorium, Sports, Computer center, Computer lab, Internet, Cafeteria, Transportation, Hostels, Library, Banking and Postal Facilities, Medical Facility, General Computing Facilities, Guest House, Counseling service, Student Gymkhana, Women’s association, Workshop. Get connected to different colleges in Kanpur which is just a click away. StudyguideIndia will provide you the information as required by you. Information which is provided here is correct. If at all you come across any errors you are requested to kindly let us know. 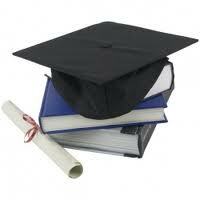 "Following are the list of Colleges in Kanpur. All Colleges in Kanpur are divided location wise. We have even listed Colleges in Kanpur as per alphabetical order making it easy to find the desired college and information on it. If you come across any College in Kanpur which is not found in our list below, please do let us know by using add in list which is default in our website”.